Add Items below to your itinerary. Cannery Row makes vacations easy to plan and hard to forget. We’ve collected some of Cannery Row’s best must-sees and dos to add to your can’t-miss list. Explore the variety of exciting activities to experience on Cannery Row and plan your perfect Monterey Bay getaway. This regional wine bar, market, and bistro is a must visit for wine aficionados when in Monterey. Featuring over 95 local wineries, small plates of superb, innovative cuisine and broad selection of wine related gifts. 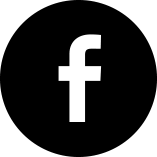 Ambrosia India Café is committed to providing excellent service and a wonderful, authentic Indian dining experience. 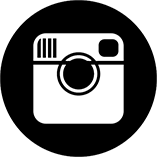 In this new location on Cannery Row, Ambrosia adds to it's award winning portfolio of Indian restaurants on the Monterey Peninsula. Below the busy street of historic Cannery Row, a new craft cocktail bar awaits. An atmosphere conducive to socializing and old fashioned conversation where you can enjoy a fine selection of liquors, wines, and barrel aged cocktails you may not find at a typical bar. Enjoy a specialty breakfast, lunch or dinner while taking in ocean views at this family friendly diner located near the Monterey Bay Aquarium. 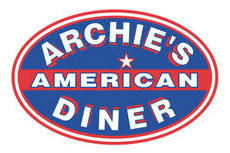 Archie's is known for its delicious burgers and shakes. A casual, family-friendly environment where everyone can enjoy a great meal and have some fun too. Open late, pet-friendly patio. This is the very first Bubba Gump location! Create your own pizza! A fun and unique way to dine with the family on Cannery Row. Cannery Row Brewing Company is a family-friendly, beer-concept restaurant that offers over 70 beers on tap. In a row of famous destinations on Cannery Row, the Chart House is a true highlight, located at a beautiful spot on the water offering spectacular views of the waterfront and the action on Cannery Row. Enjoy delicious Mandarin, Hunan and Szechuan cuisine. China House features lunch specials, food to go and delivery. 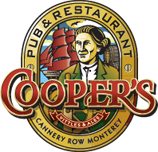 Combining British roots with a modern Monterey twist, Cooper's Pub is dedicated to bringing you a memorable dining and drinking experience when you visit Cannery Row. Dippin’ Dots is the number one ice cream for fun and has been loved by kids of all ages for more than two decades. Offering a range of fajitas, enchiladas, tacos and burritos, along with some unique innovations you’re sure to enjoy. Good, old-fashioned, down-home American cooking, complemented by great friendly service. Home of the plate sized pancake! The first store outside of San Francisco, find a full assortment of Ghirardelli chocolates and an old-fashioned ice cream parlor serving the Earthquake, a sundae with 8 scoops of ice cream and a variety of sauces and toppings. Hungry? Pick up a quick snack here. Classic American eats! Serving all American hamburgers, fries and shakes that are hand dipped and mixed in flavors to satisfy every taste. Fun, Contemporary California Grill specializing in Seafood and house-made pasta, hand-crafted cocktails, with frame-less glass views of Monterey Bay and al fresco sidewalk seating overlooking Cannery Row. Also join us at Angel's Share Craft Cocktail Bar downstairs. Indulge in ooey, gooey cinnamon rolls made fresh all day. Also serving beverages, cookies and snacks. Magnificent fresh seafood, delicious pasta creations and trademark individual pizzas. Immerse yourself in the tantalizing flavors of fresh-baked Nestlé® desserts.